family. It is supported by this verse of the Holy Quran. Literally "al-Baqi" means a tree garden. 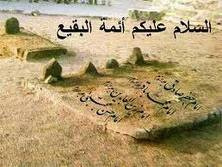 It is also known as "Jannat al-Baqi" due to its sanctity, since in it are buried many of our Prophet's relatives and companions.